We’re offering one lucky winner the chance to get their hands on two tickets to our sold out Gary Barlow gig on Wednesday 6 June 2018, as well as accommodation for the night. 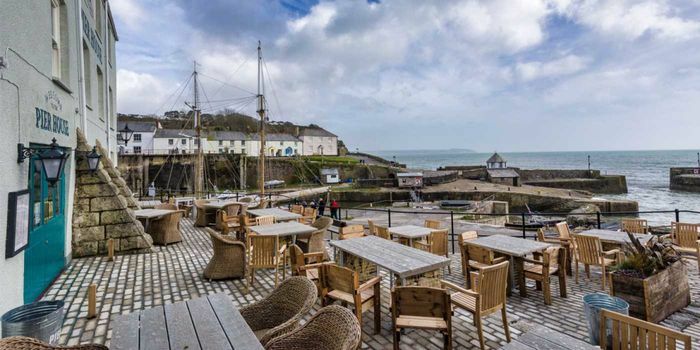 Our friends at St Austell Brewery, owners of The Pier House Hotel in nearby Charlestown, are offering up a one-night stay (on a bed and breakfast basis) after the gig. On arrival, you’ll be welcomed with a glass of prosecco each, plus enjoy a two-course pre-gig dinner in the recently refurbished hotel restaurant. Situated on Charlestown’s Georgian harbour and famous for its appearance in Poldark, The Pier House Hotel boasts 27 delightful bedrooms. Just a few miles from Eden, it’s the ideal base for a Sessions gig.